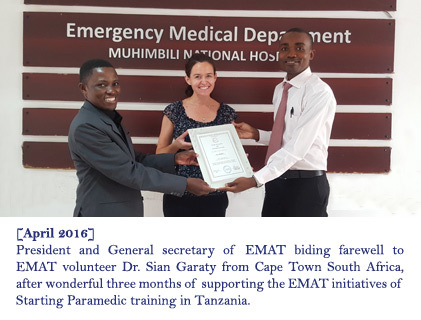 EMAT works with local and international volunteers to support the work of disseminating emergency care throughout Tanzania. 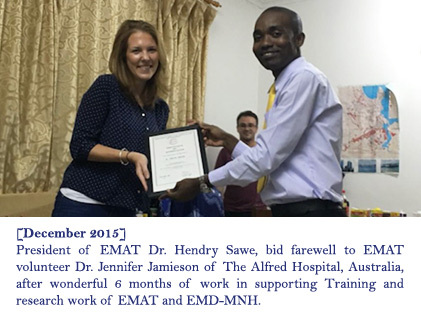 This exciting opportunity also offers an opportunity to shadow clinical services in the Emergency Department at Muhimbili National Hospital--which is the first and only full capacity public Emergency Department in the country. 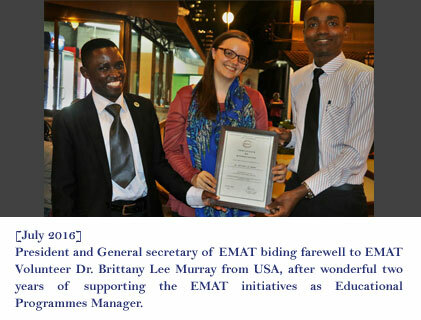 ​To be part of this exciting opportunity please contacts us at: info@emat.or.tz for more information.